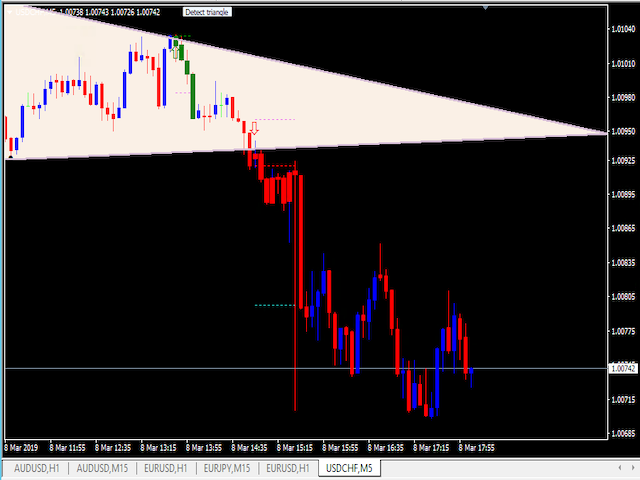 As you can see below, the triangles are drawn for you on your preferred time frame. The battle between buyers and sellers happens on any market so this pattern will be laser sharp in Forex, Stocks, Options, Futures, and Bitcoin! This triangle can be adjusted in color and appearance so it appears exactly how you want it to look. 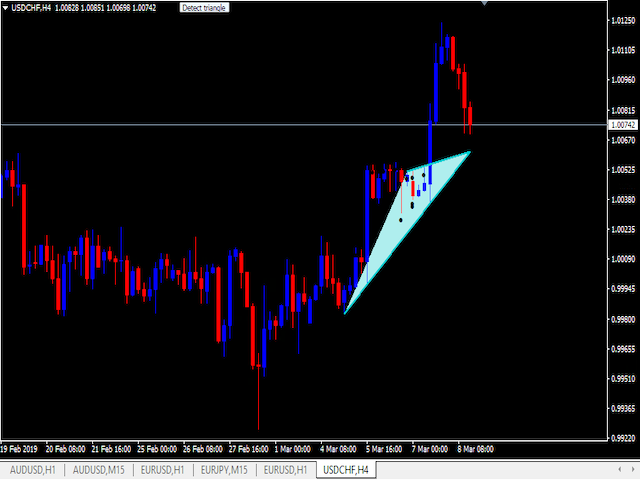 You will see either red or green arrows on chart. Or color of your choice. Not only will you see the current triangle being built you will also see the previous ones drawn on the charts. This can be controlled in inputs. Well... instead of messing with those drawing tools on your platform we gave you the ability to automatically place these on to your chart. 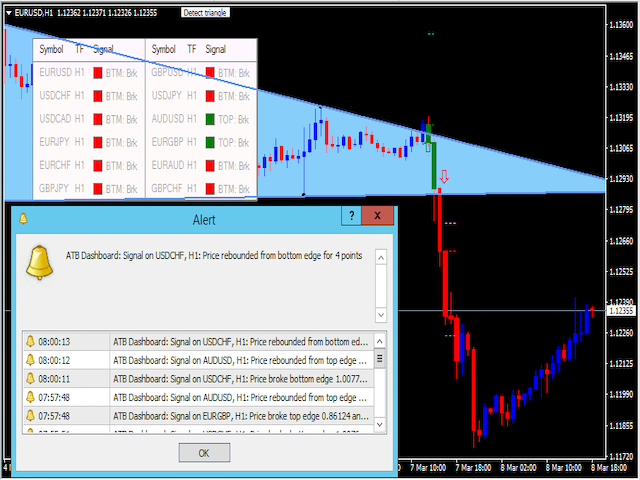 The Triangle ATB Sniper Indicator will automatically place a stop loss and take profit target for you instantly! The stop loss is automatically determined and placed at the best location and you can then adjust the Risk/ Reward Ratio depending on your preference.